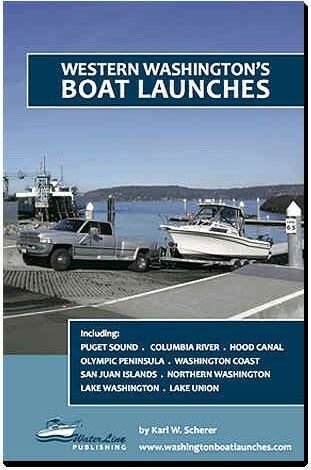 An indispensible reference for anyone trailering a boat to saltwater launches in Puget Sound, Hood Canal, Olympic Peninsula, Washington Coast, San Juan Islands, Northern Washington, plus Lake Washington, Lake Union and the Columbia River below Stevenson. Each launch is clearly photographed and described, plus fees, services, loading docks, driving directions, GPS positions, moorage availabilty and recreation information. Now you can trailer your boat to a new, unfamiliar boat ramp with the confidence of knowing what's there, what to expect, what shape the ramp is in and all of the other criteria important to safe boat launching. If you trailer a boat to fish, cruise, clam, crab, shrimp, dive or play you need this guide! It more than pays for itself.